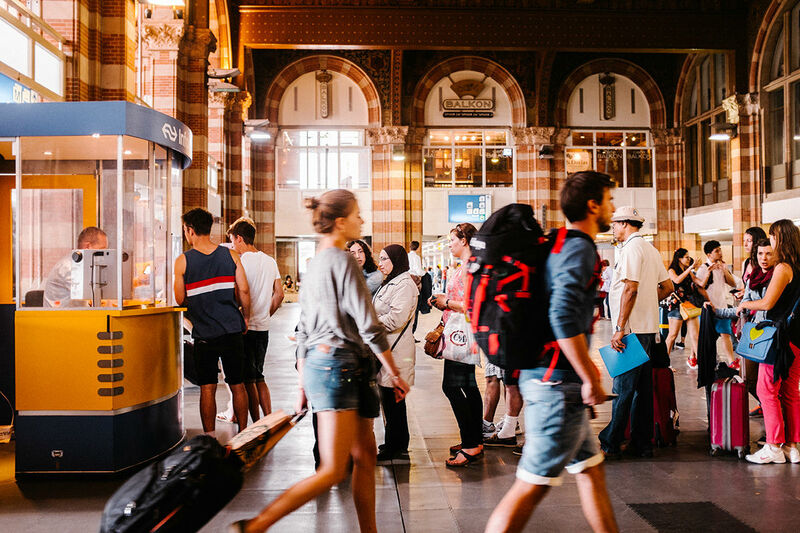 The world is home to some truly incredible exotic locations, and in an ideal scenario you’d have time and money to visit each and every place. 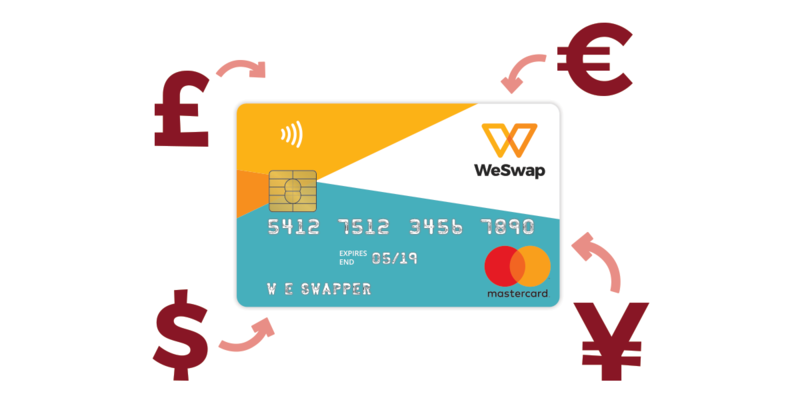 However, chances are this isn’t the case (sorry to break it to you) and not everyone has the luxury of a travel money card full of moolah. 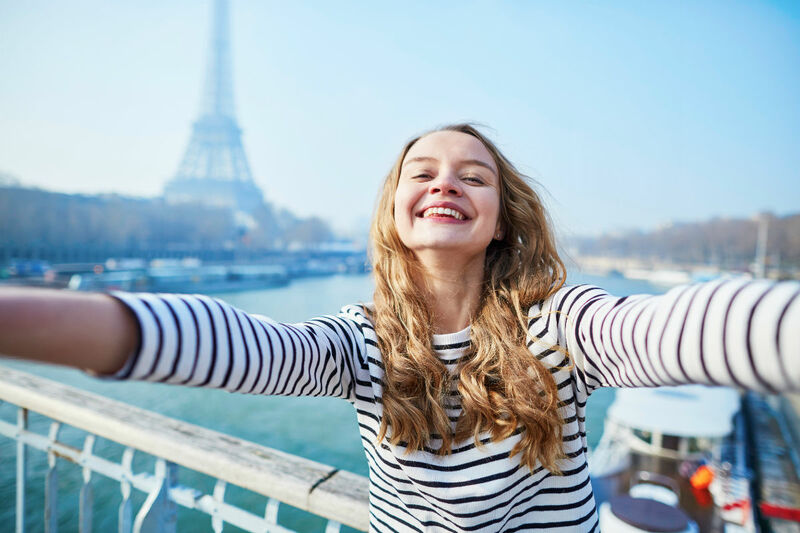 So we’ve created this guide which includes only the truly outstanding exotic locations from across the world, making your choice of where to visit a little easier. Use the table of contents to navigate the piece and find out more information about each location. Situated within walking distance from the famous Sepilok Orangutan Rehabilitation Centre and surrounded by beautiful gardens, the location of Sepilok Nature Resort is certainly suited to anyone who has an appreciation for the beauty of nature. 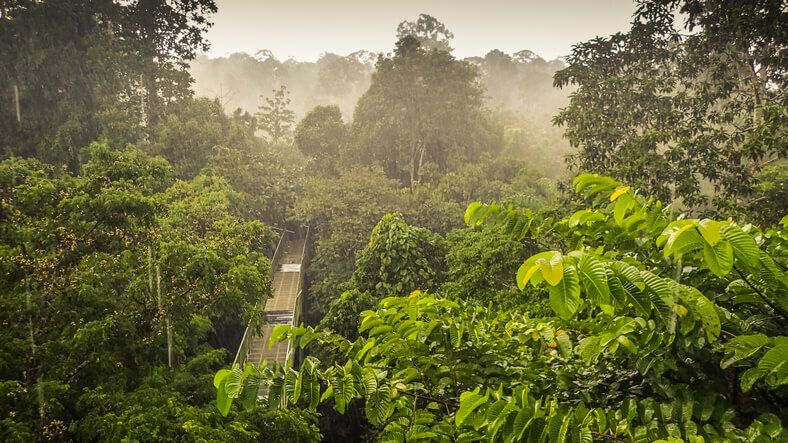 The resort itself overlooks the Borneo rainforest, so the chances of seeing some rare wildlife are extremely high. The gardens surrounding the resort are home to over 150 different species of orchid, giving them a uniquely colourful look. Sepilok Nature Resort has 23 timber chalets on location, each with en-suite bathrooms, overhead fans and air-conditioning. The chalets also have private verandas which are incredible during the evenings. There is a restaurant at the resort which provides a combination of local and international cuisine, where guests can sit under a covered terrace or out in the open rainforest air. 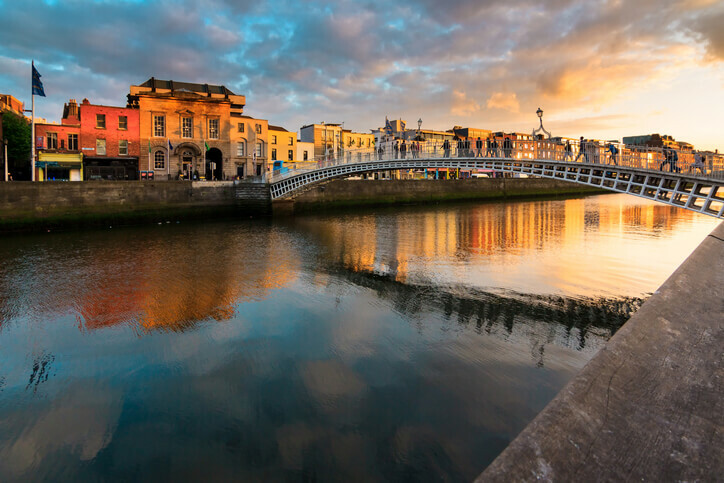 The Four Seasons hotel in Dublin, also known as the Intercontinental Hotel in Dublin, is arguably one of the most exclusive hotels in Dublin, and has been considered so since it opened. With a timeless interior style, the hotel is often described as having a spacious and comfortable feel. The hotel features a fully-equipped spa which includes a 14 metre pool and a whirlpool. All guests can enjoy specialist treatments such as massages, as well as other skin and body treatments. If you feel like having a workout, personal trainers are available on request. Rooms start from 200 euros per night (check here for best euro rates). 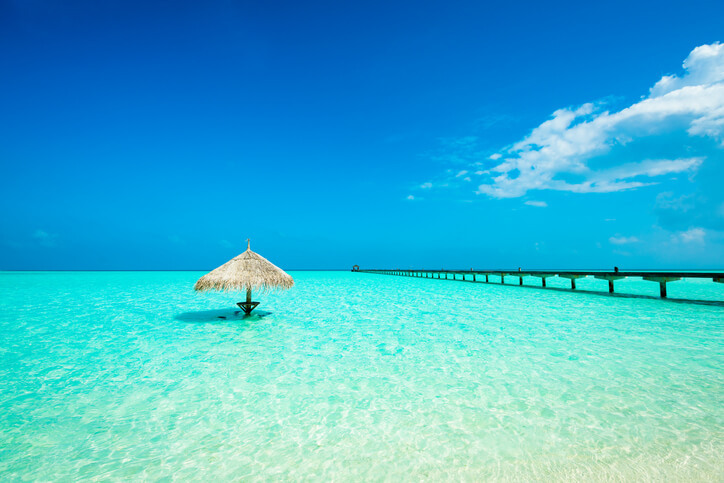 The Maldives is well known for being one of the most luxurious locations in the world, and Soneva Fushi Beach Resort perfectly captures the luxurious spirit of the island. Surrounded by white beaches and clear blue water, Soneva Fushi is one of the finest resorts on the entire island. If the look of the resort wasn’t enough, the facilities are equally impressive. Butler services are included for all guests, and the resort boasts watersports facilities, bike rental, an observatory, open-air cinema, tennis courts, an ice cream parlour and more. The rooms are equally impressive, with flat-screen TVs and lots of other amenities included. Less than half an hour away from the capital of Bali, Ubud, lie the Ubud Hanging Gardens. This all inclusive luxury resort might look a bit wild (and it is), but it’s still extremely luxurious. The hotel sits atop forested slopes above the Ayung River, and is probably not for the faint of heart. Luckily a funicular avoids the need for any steep climbs. The hotel has 44 villas, a spa and a restaurant. Each villa has it’s own secluded terrace, as well as their own heated infinity pools. 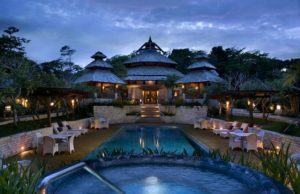 If you want luxury right in the heart of Bali’s natural interior, then Ubud Hanging Gardens is a great place to head. 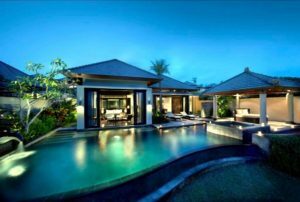 Perfect if you want to chill out, but the secluded nature of the villas make it an equally great place for families. This five-mile by three-mile private island is situated in the very north of the Whitsunday Islands, half-an-hour by boat from the Great Barrier Reef Airport. 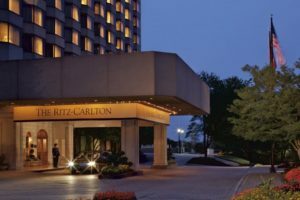 The hotel underwent an $80million refurbishment, and it shows. 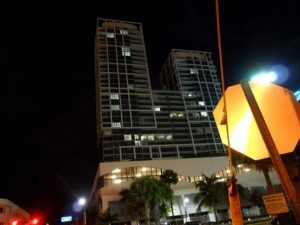 The long, three-storied building, whose bedrooms expand out from a central public areas, is decorated in a clean and contemporary style. The best thing about the resort is the food – there are seven restaurants, all of which offer their own unique take on local and european cuisines. As well as a providing an extensive in-room dining menu, offering classics such as gourmet burgers. The (inclusive) breakfast buffet is one of the best anywhere, with dainty fruit salads and fruit platters alongside exotic nuts, seeds and yoghurts, eggs to order, 12 kinds of bread and dozens of pastries, and freshly squeezed fruit juices and fragrant, thick espressos. Taj Lake Palace is a luxury hotel WITH 83 rooms and suites featuring white marble walls. The Lake Palace is located on the island of Jag Niwas in Lake Pichola, Udaipur, India, and it spans roughly 4 acres.To get to the hotel, you need to take a speed boat which transports guests to the hotel from a jetty at the City Palace. Talk about arriving in style. You can unwind at the full-service Jiva Spa, or enjoy your spa treatments while floating in Lake Pichola on the Jiva Spa Boat. Taj Lake Palace offers your choice of fine-dining at Neel Kamal or at the rooftop restaurant Bhairo. Or if you’d like, you can arrange to enjoy your meals on lake flotillas or by the Lily Pond, a quiet courtyard with fountain. Breakfast is available daily for a surcharge. If morning yoga on the rooftop terrace isn’t for you, you can take a dip in the outdoor pool and enjoy a drink by the bar or in the hot and cold spa tubs. Taj Lake Palace also offers Clefs d’Or concierge services, a health center, floor butlers, luggage storage, and 24-hour room service. The hotel has a conference center and business center, and free wireless Internet access in public areas and guestrooms. 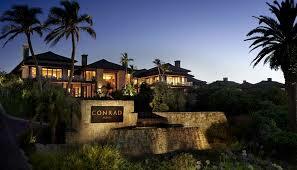 Conrad Pezula in South Africa offers an indoor pool, modern gym and indulgent spa treatments. Get active at The Field of Dreams Sports Venue providing professional courts, or enjoy 18 holes on the championship Pezula Golf Course. Relax on immaculate Noetzie Beach, try out fun family activities, or immerse yourself in nature and local tradition; it’s all within your reach at Conrad Pezula. Embracing the Garden Route area’s bountiful natural larder and the resort’s very own gardens, dining options at Conrad Pezula offer a unique taste of the region. If you’re visiting the Conrad, make sure you buy your South African rand. Set half on land, half on water, this 5-star hotel is excitingly distinctive, both inside and out. There are two sparkling rooftop swimming pools to cool off in, a state-of-the-art gym and the ESPA at Yas Viceroy Abu Dhabi with its own traditional hammam and a team of highly skilled therapists to indulge your every whim! 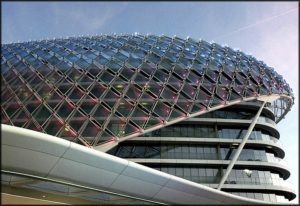 Steps away are the Yas Marina & Yacht Club, Ferrari World Abu Dhabi, Yas Waterworld and the first 18-hole links golf course in the Middle East. There is also Yas Marina Circuit which offers the opportunity to drive the famous race track in a variety of high speed vehicles. Guests can also enjoy complimentary access to Yas Beach which is only a stone’s throw from the hotel. In the heart of downtown Montreal, The Hotel Bonaventure Montreal is a true urban oasis. 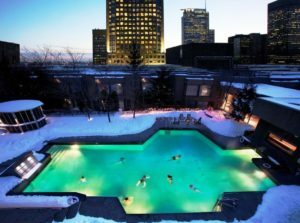 Located over the top two floors of the Place Bonaventure, a 17-storey commercial and business complex, the hotel combines the benefits of a working environment and a resort. An architectural gem in terms of judicious space planning, The Hotel Bonaventure Montreal offers first-class conference rooms for organising large and small meetings, exhibitions, conventions and weddings. Offering 397 spacious rooms including 5 luxurious suites, with stunning views of the gardens or the city. All rooms at the hotel have an ergonomic work area and free high-speed Internet access. 360 is a legendary terrace bar based in Dubai. The name says it all really. This elegant, laid-back terrace bar boasts superb panoramic views of the ever changing, ever evolving Dubai skyline. Set out in the middle of the Gulf, at the heart of the vast, wave-shaped Jumeirah Beach Hotel, this effortlessly cool spot is a popular hangout with Dubai’s cocktail set. And it’s easy to see why, as the location is pretty hard to beat, perched on top of the Marina Seafood Restaurant at the end of a pier and, as the name promises, offering spectacular views in all directions, from Burj al Arab’s light shows to the luminous sunsets over the Arabian Ocean. This is the perfect place to escape the sometimes overwhelming Dubai buzz and relax in a beautiful setting. Cool house tunes set the tone, playing until the early morning. This is where the beautiful people go to be seen and, as there are a lot of beautiful people in Dubai, it’s always busy. During the week the clientele sink into cosy sofas and sip a drink (or two, or three) as they take in the theatre of the setting sun, or relax outside with a shisha, lulled by laidback tunes. Come the weekend, however, the atmosphere is ratcheted up a notch or two and it becomes a hive or electronic hedonism with talent from near and far. A must-visit whether you’re a Dubai resident or just passing through. Be warned though, you’ll need to get your name on the guest list at the weekends. Warm tropical sun, pristine white sand beaches and a shimmering blue sea. Angsana Laguna Phuket has it all. Play golf, snorkel, island hop, or bask on the beach, this is the ideal resort to spend a restful beach vacation, romantic rendezvous or a fun-filled family holiday. Set in the Central Business District, this sleek high-rise hotel is a minute’s walk from the nearest bus stop, 3 km from the MBK Center shopping mall and 9 km from the 18th-century Grand Palace. The chic rooms feature living rooms, free Wi-Fi, flat-screen TVs, minibars and essential oil diffusers. Upgraded rooms add access to a private lounge, plus complimentary breakfast and drinks, while suites also include panoramic views and/or whirlpool tubs. There’s 24-hour room service. There are 6 dining options, including floating and rooftop restaurants. Other amenities include 5 bar/lounges, a spa, business and fitness centers and an outdoor pool. Like most of Asia, cash still rules and ATMs can be expensive. 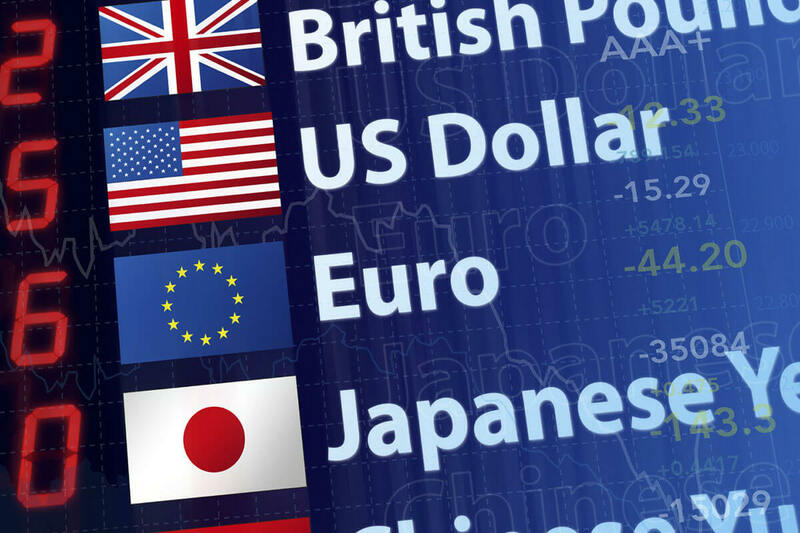 Save yourself some money by ordering your currency online before you go. 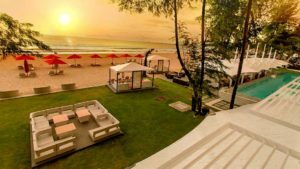 Perched on a cliff overlooking the beach and the Indian Ocean, this upscale resort is 5 km from the Hindu sculptures of the Garuda Wisnu Kancana park and 13 km from the Pura Luhur Uluwatu temple. Luxe villas with garden or ocean views offer free Wi-Fi, flat-screen TVs and private pools. All feature marble bathrooms and living/dining areas. An upgraded 3-bedroom villa adds a kitchen and a spa room, plus private butler service. Breakfast is complimentary. Other amenities consist of 2 chic restaurants, including an ocean-view option, as well as 2 bars. There’s an infinity pool, a spa and a fitness room, in addition to a kids’ club and a gift shop. Vertigo offers an al fresco dining experience set atop a roof terrace overlooking the glittering cityscape of Bangkok – a grill-and-bar experience that is Asia’s first. Dine on fork-tender seafood and premium steaks while feasting your eyes on the city’s vast skyline. 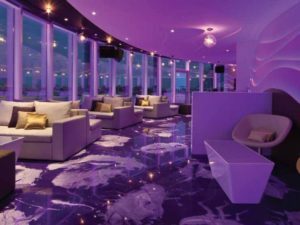 Moon Bar puts you at ease in an informal setting 61 floors above the city and offers premium drinks, such as the classic Vertigo Sunset, a melody of pineapple, cranberry and lime juices blended with just the right amount of Malibu. 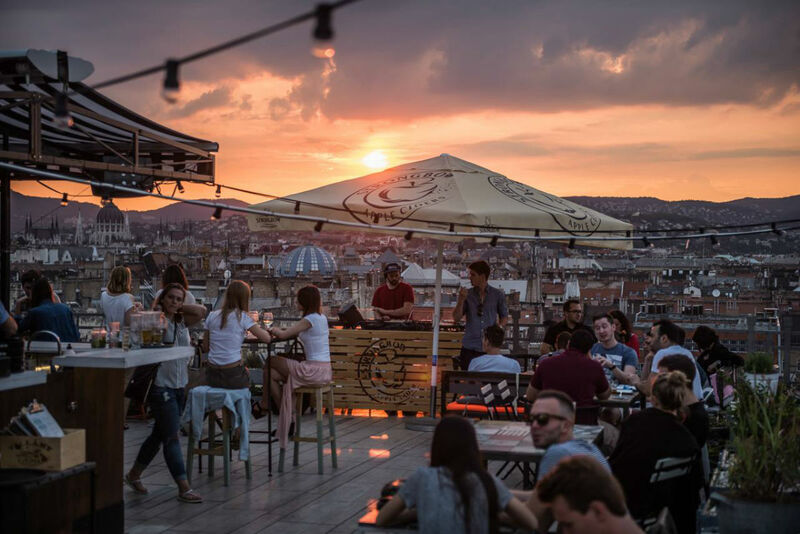 There is no lack of rooftop bars in town but Vertigo has always been amongst the favourites. 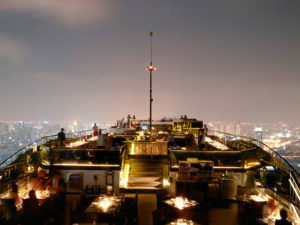 With an unusual narrow and elongated shape, the entire top of the building is occupied by both the bar and the restaurant and gives the unusual impression of being aboard a spaceship in the sky. 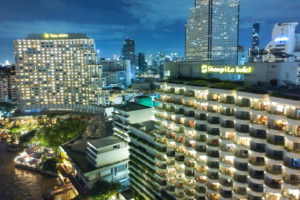 Located on Sathorn road, a very large busy avenue peppered with tall glass and metal skyscrapers and not far from the Lumpini park and Silom area, Banyan Tree is a name often associated with luxury. The hotel and its unusual design might be a bit aging, but once you step inside the lobby, you’re still aware of this sophisticated yet relaxed atmosphere. From the lobby, a fast lift will take you to the 60th floor where you find the popular Bai Yun Chinese restaurant, walk pass it and up a flight of stairs that leads you outdoors. 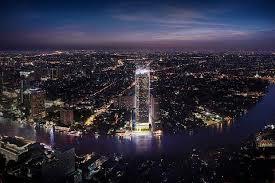 You better not be afraid of heights, as Bangkok will be laid out below you the moment you step outside. Set in the foothills of the San Jacinto Mountains, this sophisticated, Spanish Mission-style hotel is an 11-minute walk from Palm Springs Art Museum, and 7 miles from Palm Springs Aerial Tramway. Chic, contemporary rooms have free Wi-Fi, flat-screens and Bluetooth speakers, plus minibars and Italian linens. Upgraded rooms add terraces or balconies, while suites and bungalows feature living rooms with wet bars. Some bungalows add kitchens and/or fireplaces. There’s a trendy restaurant with a terrace, plus a spa and a gym. Other amenities include event space, 3 outdoor pools and multiple sundecks with cabanas, plus a formal mountain-view garden. Nestled against the dramatic backdrop of rugged mountains and pristine waters of the Gulf of Oman, Shangri-La Barr Al Jissah Resort & Spa consists of two hotels, Al Bandar and Al Waha. All guests have full access to facilities available across Shangri-La Barr Al Jissah Resort & Spa. Guest can enjoy free WiFi throughout the resort. Al Waha hotel, with a minimum room size of 32 sqm each is the ideal getaway for families. Guests enjoy a balcony or patio facing the sea or pool. Al Bandar hotel offers rooms with a minimum of 38 sqm of space, a balcony or terrace with views of the garden, sea or pools. Set in 2 high-rise towers on the banks of the Chao Phraya River, this high-end hotel is 6 km from the Grand Palace and 5 km from Wat Arun temple. Featuring river or city views, the sleek rooms feature Thai-inspired accents, free Wi-Fi and flat-screen TVs, plus minibars, and tea and coffeemakers. Upgraded rooms and suites offer balconies, separate living rooms and/or access to a club lounge. Upgraded suites have kitchenettes and/or whirlpool tubs. There are 9 dining options, including a dinner cruise and an elegant eatery with a riverside terrace. Other amenities include an outdoor pool, tennis courts and a gym, as well as a chic spa. This luxe beach resort is 2.4 km from Puka Shell Beach and 6 km from Bulabog Beach. Furnished with local materials, polished rooms, suites and villas feature verandas or balconies and garden or sea views. All come with free Wi-Fi, flat-screen TVs, iPod docks and minibars, as well as tea and coffeemakers. 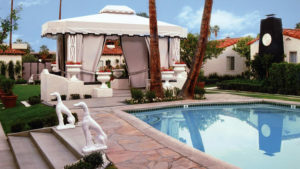 Upscale suites and villas offer sitting areas, hot tubs, private pools and/or butler service. Room service is available 24/7. This little museum might not seem like an exotic location, but the history of the house tells otherwise. Number Twenty Nine: Georgian House Museum is a preserved Georgian townhouse furnished to show how the house would have looked during the period of 1790 to 1820. 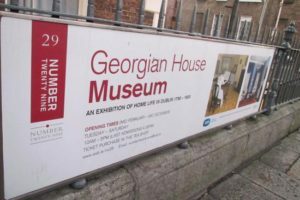 Number Twenty Nine is run by the ESB Group and the National Museum of Ireland since 1991. The rooms are furnished to reflect the history of the building from 1790 to 1820, showing how the residents and their servants lived. A mix of replicas and authentic materials were used for the wallpaper and carpets. The furniture, fittings, and clothes are Georgian items from the National Museum’s collection. The museum is currently closed to facilitate the building of a new Head Office complex for ESB, the museum’s owner. The museum has made a virtual tour available for viewing while it is closed. Amid tropical gardens, this opulent oceanfront hotel on Labadi Beach is 8 km from the mausoleum and museum in Kwame Nkrumah Memorial Park and 7 km from bustling Accra city center. The chic, contemporary rooms offer free Wi-Fi and flat-screens, plus minibars, and tea and coffeemakers. All have balconies, while upgrades come with Nespresso machines. Posh suites have living/dining areas; upgrades add kitchenettes. Room service is available 24/7. Freebies include parking, and breakfast served in an elegant restaurant. There’s also a piano bar, a cocktail lounge, and a terrace overlooking an outdoor pool. Amenities include a sauna and meeting space. Fore Abbey is the old Benedictine Abbey ruin, situated to the north of Lough Lene in County Westmeath, just 25km outside its county town of Mullingar. The monastery built upon the bog. The mill without a race (St. Fechin reportedly induced water to flow from the ground and operate a mill that had no visible water supply – in reality water from Lough Lene flows through the ground). The water that doesn’t boil in St Fechin’s holy well. The lintel-stone raised by St. Fechin’s prayers. 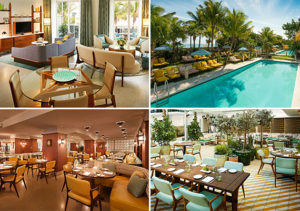 A unique hotel concept just 20 minutes from South Beach Miami, The Carillon Hotel and Spa offers a destination spa feel with healthy living and dining its speciality yet within easy reach of the fun and entertainments of this exciting corner of Florida. All accommodation is suite style and offers either one or two bedrooms. Each suite has a contemporary feel and offers floor to ceiling windows with either views over the city, partial ocean or ocean front views. Each suite offers an equipped kitchen, lounge, separate bedroom and large en suite bathroom with separate shower and bath. There are two TVs, complimentary WiFi, bathrobes and slippers, coffee maker and hairdryer. Visit the Aquavana thermal suite featuring water therapies and state-of-the-art hot and cold experiences, two outdoor pools, two storey indoor rock climbing wall, unparalleled fitness centre including a two storey cardio studio with ocean views, conservatory, library and indoor and outdoor quiet spaces, and then afterwards take a trip to the Canyon Ranch Grill restaurant, which boasts nutritionally balanced gourmet cuisine and a cocktail terrace. 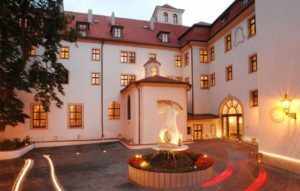 Conveniently located in the radiant heart of Prague’s Lesser Town, right below Prague Castle and just steps away from Charles Bridge, our hotel is the quintessence of Prague’s history, character and beauty. As part of Luxury Collection, Augustine defines the destination with its deep history and energy inspired by 13th century Augustine monastery which is interconnected with the hotel and still active with 4 monks living there. The hotel is directly connected to baroque St. Thomas Church and offers special tours where guests experience authentic Augustinian monastery and 13th century library without even stepping outside of the hotel.The property offers 101 individually furnished contemporary rooms and suites in various categories including 4 exquisite Signature suites that will inspire you, designed by Olga Polizzi in 2009. Let all your senses experience our local food and beverage in Augustine restaurant and Terrace, Refectory bar or tranquil Sundial garden and Arcades. In a colorfully accented contemporary building, this eclectic hotel, inspired by artist Mark Schaller’s working studio, is an 11-minute walk from Golden Dragon Museum and 1.6 km from Bendigo Art Gallery. 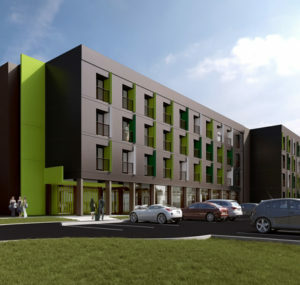 Featuring balconies and bold artwork, the streamlined rooms and 1-bedroom suites offer 46-inch flat-screen TVs, free Wi-Fi, minifridges, microwaves, and coffeemakers, as well as desks. An urban cafe features a terrace and takeaway picnic options. Additional perks include a landscaped sculpture garden, bike and car rentals, and free parking, plus a gym. Mark Schaller’s artwork is also offered for sale. 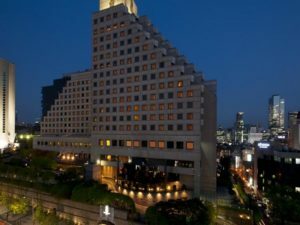 A 2-minute walk from Shinnonhyeon Station, this sophisticated hotel is 22 minutes from Korea Culture House by subway, and 47 minutes from Taegukgi-gil (palace) by subway. The elegant city-view rooms have free Wi-Fi and flat-screen TVs with premium channels, as well as marble bathrooms. Club rooms and suites offer private-lounge access, snacks and drinks, along with a dedicated concierge. Room service is available 24/7. There are 4 culinary options, including an Italian restaurant with terrace dining, a jazz bar and a deli. 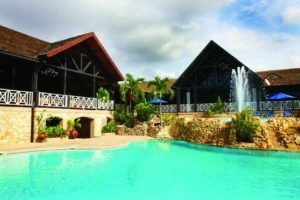 There’s also a spa, an indoor pool and a fitness center with personal trainers, plus 1,400-square-meters of event space. This luxury high-rise hotel is a 5.9-mile drive from the High Museum of Art and an 8.1-mile drive from Fox Theatre. Plush rooms come with flat-screens with premium channels, iPod docks and 24-hour room service, as well as marble bathrooms and luxe bed linens. Wi-Fi is available. Suites add separate living areas, kitchenettes and/or dining areas. Club-level access provides entry to a lounge with free food and drink, as well as a dedicated concierge. 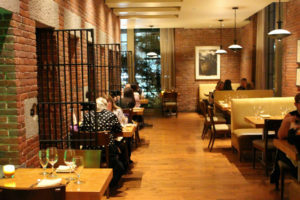 Dining options include a refined restaurant serving American cuisine, and a piano lounge. There’s also a spa, an indoor saltwater pool and a fitness center, plus a business center and a ballroom. 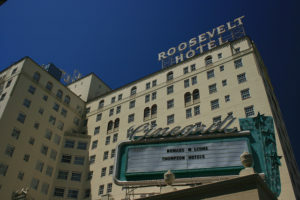 Located along the Hollywood Walk of Fame, this hip, upscale hotel dating from 1927 is across the street from the TCL Chinese Theatre. Chic, modern rooms and suites (some named after famous former residents such as Marilyn Monroe) come with premium bedding, flat-screen TVs, designer toiletries and Wi-Fi (fee). Upgrades offer garden or pool views, hardwood floors and/or private balconies. Room service is available 24/7. Amenities include a gym, and an outdoor pool with a fire pit. There’s a cocktail lounge, a nightclub and a beer garden, plus an upscale restaurant, a 24-hour burger joint and a game room with bowling. 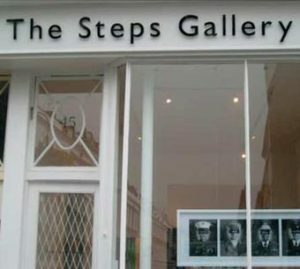 The Steps Gallery, London, is recognised as one of the UK’s leading promoters and exporters of young contemporary art. Over the years, they have established a reputation for identifying pioneering artists. The comprehensive gallery program is inclusive of innovative media, technology-based work, photography, sculpture and site-specific installations. Exhibitions of gallery and guest artists expose and explore critical themes within contemporary art. The gallery is dedicated to supporting the placement of important work in all markets and premiers talent through an international program of curated exhibitions, participation in art fairs and publications. There is a seafood bar right in the middle of the restaurant where you can watch chefs assembling platters of oysters, langoustines and sashimi. No reservations are required for the bar and you can order anything from the a la carte menu. 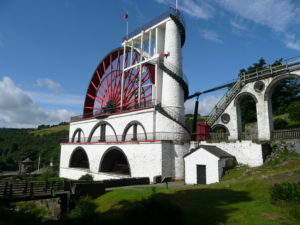 The Great Laxey Wheel (or Lady Isabella as she is also known) is the largest working waterwheel in the world. A brilliant example of Victorian engineering she was built in 1854 to pump water from the Laxey mines. Today a climb to the top is rewarded with panoramic views across the Laxey Valley. It was built in 1854 to pump water from the Glen Mooar part of the Great Laxey Mines industrial complex. It was named “Lady Isabella” after the wife of Lieutenant Governor Charles Hope, who was the island’s governor at that time. The 150th anniversary of the Lady Isabella was celebrated by the people of Laxey with a grand fayre on Saturday 24 September 2004. It is currently maintained by Manx National Heritage as part of the Great Laxey Wheel & Mines Trail. The wheel features today on the reverse side of the £20 notes issued by the Isle of Man Government. Cornerhouse is Manchester’s international centre for contemporary visual arts and independent film. Cornerhouse was founded by the Greater Manchester Visual Arts Trust, chaired by Sir Bob Scott, and opened in 1985. The building has been at the forefront of Manchester’s vibrant cultural scene ever since. Patrons include Danny Boyle, Damien Hirst and Helen Mirren. Located on Oxford Road, Cornerhouse houses three floors of contemporary art galleries, three screens showing the best of independent cinema, a bar, café and a bookshop and receives around 500,000 visitors every year. When first constructed in 1890 in what was then not officially Portland but the city of East Portland, it was the largest brick structure in either city. 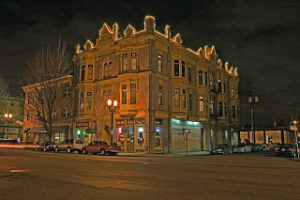 Over the years the building played host to a vaudeville theater, a nickelodeon, and a movie house in its lower floors. But as a pub it was most famous, and was a great place to sample a wide variety of beers and other drinks. It’s closed now (which is a real shame) but there it had a huge following, and people would love to have it back. Set in a two-story building near the beach of Kibbutz Nahsholim, and a short walk from Tel Dor, the Glass Factory Museum (mizgaga) is dedicated to archaeology and glass. 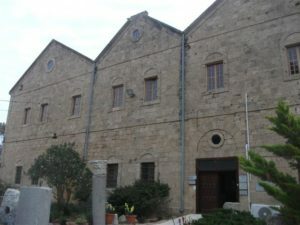 The building, which baron Rothschild constructed in 1891 to house a factory to manufacture glass bottles, today is home to a permanent display of strange finds from the land and the sea, such as anchors and guns and ships as testimony to the many shipwrecks in the sea and surrounding bays as well as the maritime activity that once took place in the area. The museum is located in the heart of Kibbutz Nahsholim, close to the sea. It was originally established as a glass factory by Baron Rothschild in 1891, and is a great place to visit if you have the chance. With an amazing name (seriously ‘The Succulent Karoo’? ), this area stretches from the west coast of South Africa to the south western part of Namibia. Originally the habitat spread over 102,961 km2; yet, as of 2008, only 29,780 km2 remain. 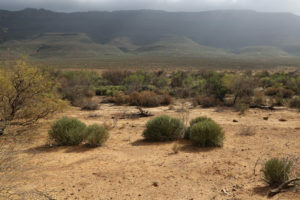 The Succulent Karoo is distinguished from other hotspots by its arid or semi-arid climate, allowing for a rich diversity of succulent plants and animals. The hotspot is divided into two regions. Succulent Karoo is home to a wide variety of insects and reptiles, with more than 1/4 of the hotspot’s 70 scorpions being endemic. There are also over 75 species of mammals, including the Golden Mole, in the Succulent Karoo habitat; although elephants, Black Rhinoceros, and Cape Buffalos which used to populate the area have since disappeared. The Museum of the City of Mexico is located at Pino Suarez 30, a few blocks south of the Zocalo, on what was the Iztapalapa Causeway, near where Hernán Cortés and Moctezuma II met for the first time. This building used to be the palace of the Counts of Santiago de Calimaya, who were the descendents of one of the conquistadors with Cortés. 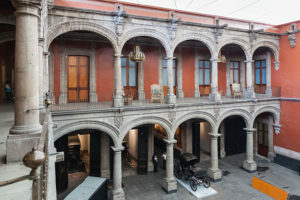 The house was extensively remodeled to much the appearance that it has today and remained in the family until 1960, when the Mexico City government acquired it from them in order to found the Museum that is found there today. The museum contains a number of elements of the old palace as well as 26 rooms dedicated to the history and development of Mexico City from Aztec times to the present. 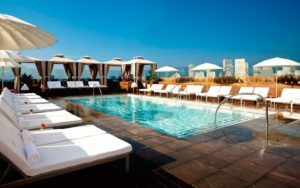 This stylish hotel on Wilshire Boulevard is only 5 blocks away from Rodeo Drive’s shops and 2 miles from the Los Angeles County Museum of Art. Simple rooms feature balconies and ebonized hardwood floors, plus flat-screen TVs, iPod docks and minibar. Suites add lounge areas with leather sofas, full kitchens and/or whirlpool tubs. Wi-Fi (fee) and 24-hour room service are available. Facilities and extras include morning coffee service in the lobby and a fitness center. There’s also a hip steakhouse with art deco touches, and a trendy rooftop cocktail bar serving light fare near the heated pool and cabanas. 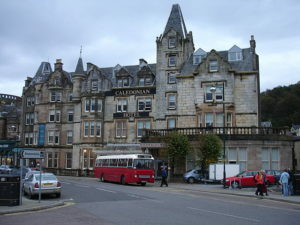 The Oban Caledonian is the perfect base for your trip to the Highlands of Scotland and offers luxury short breaks, midweek and weekend breaks, bed and breakfast and amazing food in unique and spectacular surroundings. Renowned as “the gateway to Argyll and The Isles”, Oban is an ideal base for the visitor. No less than 10 islands are within easy reach for a day trip, including larger islands like Mull, with beaches and a host of attractions, and Iona through to smaller Islands with private boat trips available. Overlooking the Atlantic Ocean, this beach hotel is set in a 1940s art deco skyscraper. It’s a 2-minute walk from Miami Beach. The airy rooms and suites feature minibars, flat-screen TVs and ocean views. Some rooms also have private balconies, while suites add separate living areas and kitchens with wet bars and fridges. Amenities include a rooftop spa, a hair salon and 7 meeting rooms. There’s also 2 cocktail bars, an outdoor pool and a gourmet restaurant. 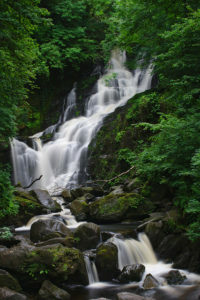 Torc Waterfall is a waterfall at the base of Torc Mountain, about 8 kilometres from Killarney in County Kerry, Ireland. The falls are one of the landmarks on the 200-kilometre Kerry Way walking tour, and are encompassed in the Killarney National Park. Red deer are frequently seen and heard in the area. Torc Waterfall is approximately 7 kilometres from Killarney Town and approx 2.5 kilometres from the motor entrance to Muckross House and is signposted from a carpark off the N71. A short walk of approx 200 metres brings you to the waterfall. From that point steps lead to another viewing point at a higher altitude that provides a view over the Middle Lake. 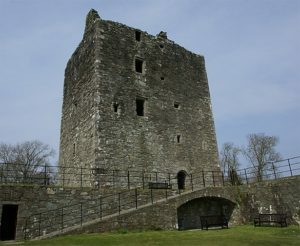 Cardoness Castle is a well-preserved 15th-century tower house just south west of Gatehouse of Fleet, in the historical county of Kirkcudbrightshire in Scotland. It was originally owned by the MacCullochs of Myreton. The MacCullochs abandoned the castle in the late 17th Century, following the execution of Sir Godfrey McCulloch for the murder of a Clan Gordon neighbour. It is now in the care of Historic Environment Scotland, and is a scheduled monument. If you’re ever able to visit the castle then we would highly recommend it, as it is well preserved and is well worth a look. Stunningly designed and beautifully appointed, Mandarin Oriental, Las Vegas is a Forbes triple five-star luxury hotel at the heart of The Strip. With city and desert views, we offer the perfect mix of style, serenity and luxury in a non-gaming and smoke-free environment. This gorgeous hotel on the busy Las Vegas Strip is only a mile from both Caesars Palace and Luxor Las Vegas, and 2 miles from McCarran International Airport. With unique city views, the fashionable rooms come with flat-screen TVs and WiFi. The Ness of Brodgar is an archaeological site covering 2.5 hectares, sited between the Ring of Brodgar and the Standing Stones of Stenness in the Heart of Neolithic Orkney World Heritage Site. 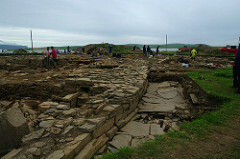 Excavations at the site began in 2003. These have provided evidence of housing, decorated stone slabs, a massive stone wall with foundations, and a large building described as a Neolithic cathedral. The site may have been occupied from as early as 3500 BC to the close of the Neolithic period more than a millennium and a half later. To the southeast are the Standing Stones of Stenness and to the north-west is the Ring of Brodgar. A short bridge connects these two sites. Also visible from the site are, to the east, the chambered cairn at Maeshowe and, to the southeast the Barnhouse Settlement. A couple of kilometres northwest of the Ring of Brodgar is the Ring of Bookan, a third henge, with associated mounds. Quirimbas National Park encompasses 7,500km² of mangrove forests, coral reefs and idyllic beaches along the northern coastline of Mozambique. 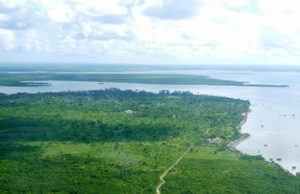 While the park contains a significant inland area, which protects important elephant migration routes, it is perhaps best known for the postcard-perfect islands that make up the Quirimbas Archipelago. These islands are renowned for their natural beauty, with powdery white-sand beaches and turquoise waters teeming with diverse marine life. The 12 main islands and numerous atolls and coral islets of the archipelago provide essential habitats for sea turtles and migratory seabirds, as well as nursery areas for bottlenose dolphins and humpback whales. This, along with the abundance of tropical fish species that reside in the park’s rich coral reefs, make for some incredible diving experiences. Quirimbas is less developed for tourists than the Bazaruto Archipelago to the south, but offers a number of small, upscale beach resorts that are scattered across the islands. The Eternal Flame Falls is a small waterfall located in the Shale Creek Preserve, a section of Chestnut Ridge Park in Western New York. 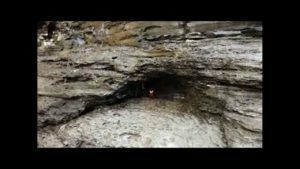 A small grotto at the waterfall’s base emits natural gas, which can be lit to produce a small flame. This flame is visible nearly year round, although it can be extinguished and must occasionally be re-lit. Centrally located within walking distance of Trafalgar Square, Charing Cross, Covent Garden and London’s bustling Theatre district, Massimo Restaurant & Bar is perfectly positioned for the ultimate Italian experience. Savour a taste of Italy in central London at Massimo Restaurant & Bar, an authentic fine dining Italian restaurant serving seasonal dishes with a creative touch. Showcasing the best of Italian food infused with bold flavours, created with passion and flair, our menu is ideal for pre and post theatre dining or a late supper. In addition, our elegant Bar boasts a charcuterie counter serving regional antipasti – perfect for light lunches, early evening aperitivo and antipasti. For a more intimate and exclusive experience, the private dining room offers guests the opportunity to experience a real Italian kitchen. This exclusive space has a state-of-the-art show kitchen where the Massimo team take centre stage preparing your meal – a unique experience and ideal for business lunches, private dinners or a special occasion. 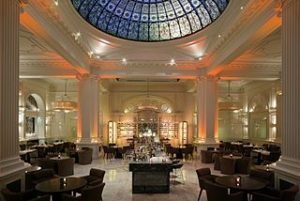 Art Deco in style, Massimo Restaurant is a striking space lined with statuesque Corinthian columns. 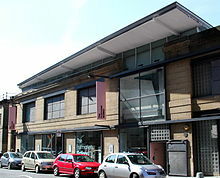 The Fruitmarket Gallery is a contemporary art gallery in Edinburgh, Scotland. It is located in the centre of the city on Market Street, beside Edinburgh Waverley railway station. The gallery, which opened in 1974, is located in a building which was originally built as a fruit and vegetable market in 1938. 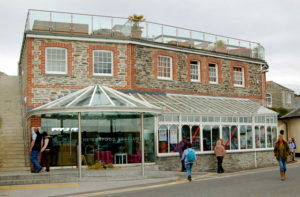 In 1994, the building was renovated by Richard Murphy Architects to assume its current form. It has a café which is well used and a bookshop which stocks art, architecture, design and photography books and magazines, along with a range of books for children. A natural coastline in Purbeck featuring a four-mile stretch of beach, with views of Old Harry Rocks and the Isle of Wight. 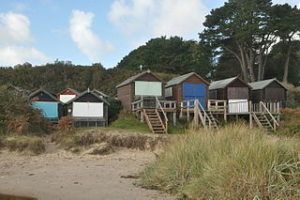 Studland Bay is ideal for water sports and includes the most popular naturist beach in Britain. The heathland behind the beach is a haven for native wildlife and features all six British reptiles. Designated trails through the sand dunes and woodlands allow for exploration and spotting of deer, insects and bird life as well as wild flowers. Studland was also the inspiration for Toytown in Enid Blyton’s Noddy. Green Flowers Art is a gallery dedicated to contemporary art, located in Boulogne-Billancourt. It supports emerging and established artists, some of them from graffiti, who work in a mainly narrative and often intimist manner. Green Flowers Art Gallery opened in 2006 in a very small courtyard space in Boulogne-Billancourt. It is brilliant to see the arrival of young graffiti artists who came to display their work there and collectors who came from all over the place to see the art. 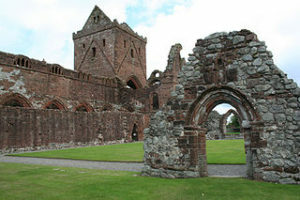 The Abbey of Dulce Cor, better known as Sweetheart Abbey, was a Cistercian monastery founded in 1275 in what is now the village of New Abbey, in the historical county of Kirkcudbrightshire in Dumfries and Galloway, 8 miles (13 km) south of Dumfries. The abbey, located on the banks of the Pow Burn, was founded by Dervorguilla of Galloway, daughter of Alan, Lord of Galloway, in memory of her husband, John de Balliol. After his death, she kept his embalmed heart, contained in a casket of ivory and silver, with her for the rest of her life, and it was buried alongside her when she died. 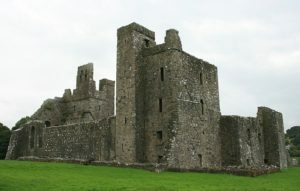 The village which stands next to the ruins today, is now known as New Abbey. At the other end of the main street is Monksmill, a corn mill. Although the present buildings date from the late 18th century, there was an earlier mill built by and for the monks of the abbey which serviced the surrounding farms. 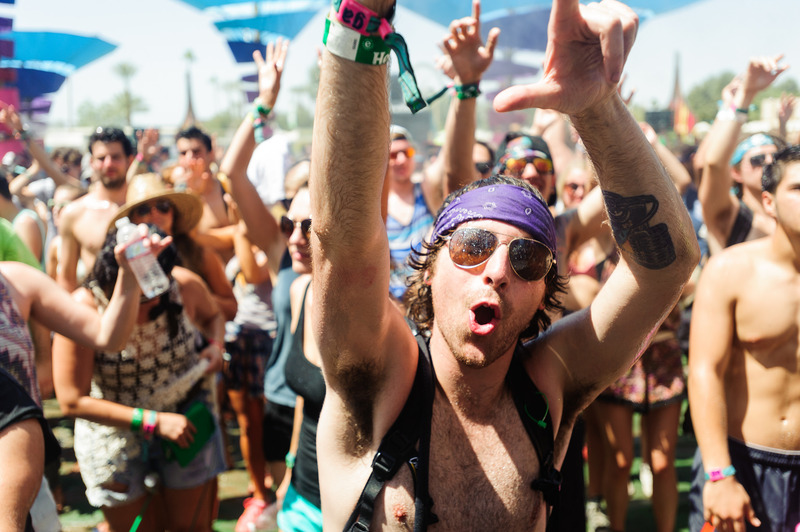 5 World-Famous Music Festivals. Which one is for you?